Merry Christmas to everybody !! Hope that you all have a good time with family and friends . Thanks to all for the help so far and I'm looking forward to a new year and putting some time working on the T with my sons over the break . God bless. Thanks for the post, and Merry Christmas to everybody, and to hell with all that happy holidays crap! Amen to you Smith,I hope everyone has a very Merry Christmas. Merry Christmas to you Travis - and to all who retard the spark before cranking or hitting a starter button. Amen and then some to that Larry!!! MERRY CHRISTMAS!! May you all be blessed with good times among family and friends this week. Ditto's Larry. 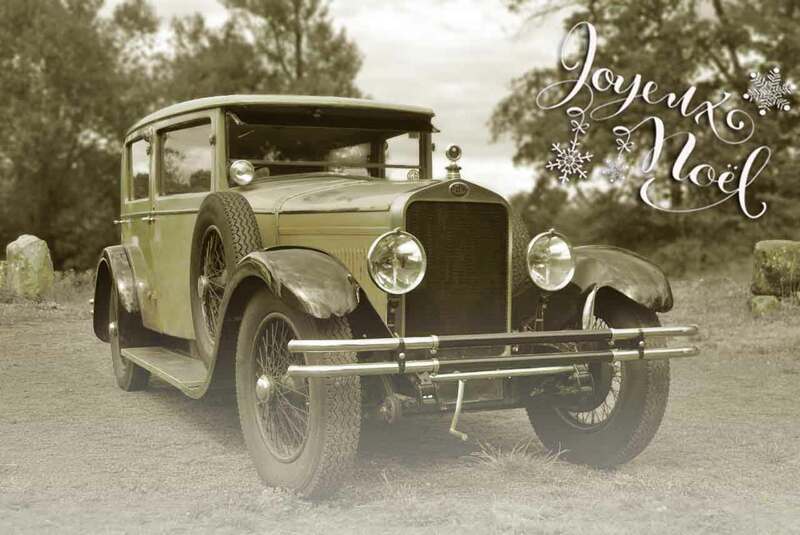 MERRY CHRISTMAS to all our Model T friends and family around the world and a very HAPPY NEW YEAR! As I always Say "Merry Christmas & a Prosperous New Year" "May you spend all of your money before Uncle Sam knows you have it!" Thanks to all you T friends who are always willing to help the less knowledgeable like me. I really do appreciate your wisdom and have learned an awful lot! Happy CHRISTmas to all and remember to celebrate God's greatest Gift this week! 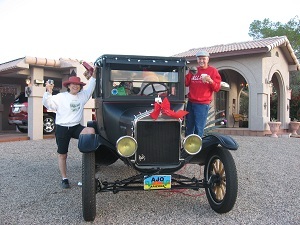 Dena and I want to wish everyone in the Model T community a very Merry Christmas and Happy New Year. Hopefully we will see you on the road in 2015. I hope all my friends here have a Wonderful Blessed Christmas! God Bless Everyone! and a Happy New Year! David..cute picture! I always wonder how you keep the blood from rushing to your head while driving "under" there!! I see you have a stow-away on your radiator... poor little bug...probably didn't know what hit him. And a safe, really safe, driving year ahead! Happy Hanukah Y'all! And Happy Holidays if you must and for the rest of you bums, Merry Christmas. and a very Merry Christmas to all. 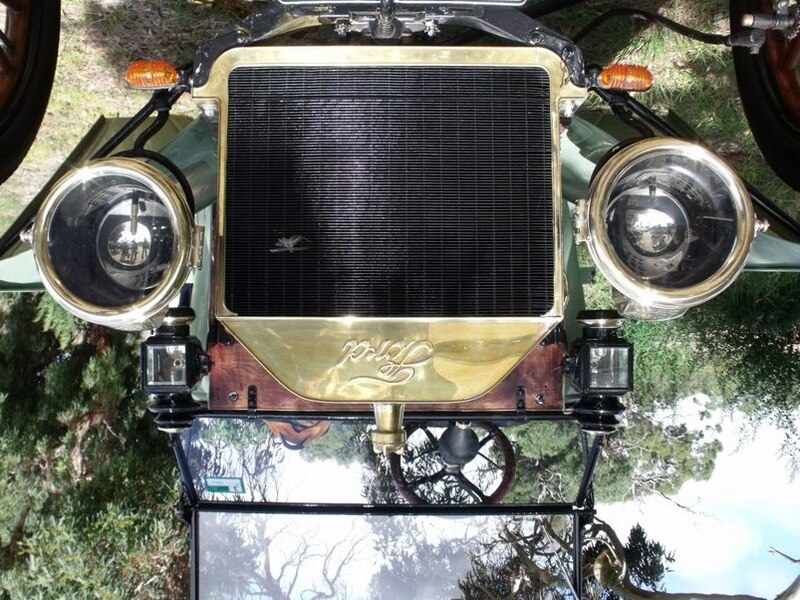 Merry Christmas to all our Model T friends of world. It is supposed to be close to 50 in Southern NH on Christmas Day - Perfect opportunity for a ride in the T if the rain stops. Ha I forgot a small card ...... .Sorry not a model T this year. Merry Christmas from the Eagle family. On our way to breakfast this morning in the Tudor. KEN KOPSKY...THAT is funny !!! Merry Christmas all and to all a good upcoming T year. Merry Christmas everyone & if you're not Norwegian, be happy--no Lutefisk for you!!! "The Lutefisk Lament", by Don Freeburg (C)1978. As Mama got set for the Christmas Eve tussle. With stomachs all ready for Christmas Eve dining. As visions of lutefisk danced in my head. The thought of the smell made my eyeballs start burning. The thought of the taste set my stomach to churning. A Scandahoovian boy who can't stand the stuff. to spare mama and papa the undying shame. of relatives knowing I hate lutefisk. if the unthinkable, unspeakable truth they were told. I jumped up to see what was the matter. three of my uncles had taken a tumble. and soon they were up and through the door. as Mama finished the Christmas repast. that fairly set my senses to reeling. and wilted a plant in a pot on the wall. while the aroma laid low my small helpless kitten. Uncles Oscar and Lars said, "Oh, that smells yummy,"
and Kermit's eyes glittered while he patted his tummy. and the bird in the cuckoo clock fell on the floor. Mama announced dinner by ringing a bell. They pushed to the table with a yump and a yell. and a rose on the wallpaper withered and died. and sat in silence with an unseeing stare. there remained only to fill the lutefisks space. Then Mama came proudly with a bowl on a trivet. You would have thought the crown jewels were in it. and Papa said Grace before we could eat. the shortest prayer he ever had said. and I was face to face with the quivering fish. while I watched the paint peel off the wall. The plates were passed for Papa to fill. I waited in agony between fever and chill. He would dip in the spoon and hold it up high. As it oozed on the plates, I thought I would die. there seemed enough lutefisk to derail a train. oddly transparent, yet discolored, the hue. I salted and peppered, but the smell still revealed it. I drummed up my courage, I tried to be bold. Mama reminds me, "Eat, before it gets cold." I decided to face it, "Uff da," I sighed. "Uff da, indeed," my stomach replied. Then I summoned that resolve for which every breed's known. My hand took the fork as with a mind of its own. within twenty seconds I'd cleaned my plate. as butter and cream sauce dripped from his chin. "I'm sure glad this is over for another year!" of being known as a good Scandahoovian boy. 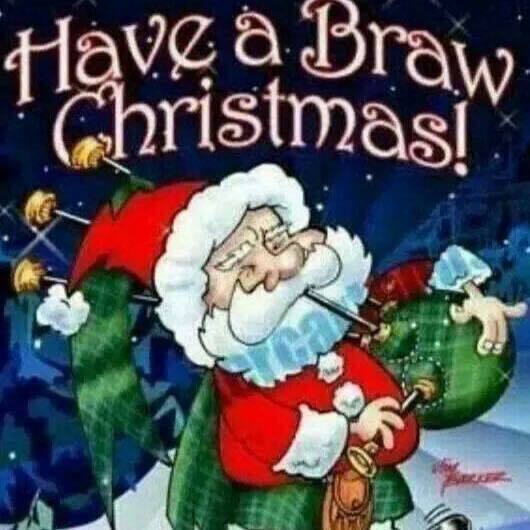 Happy Christmas to you, and to you all the best. Merry Christmas and/or Happy Holidays. 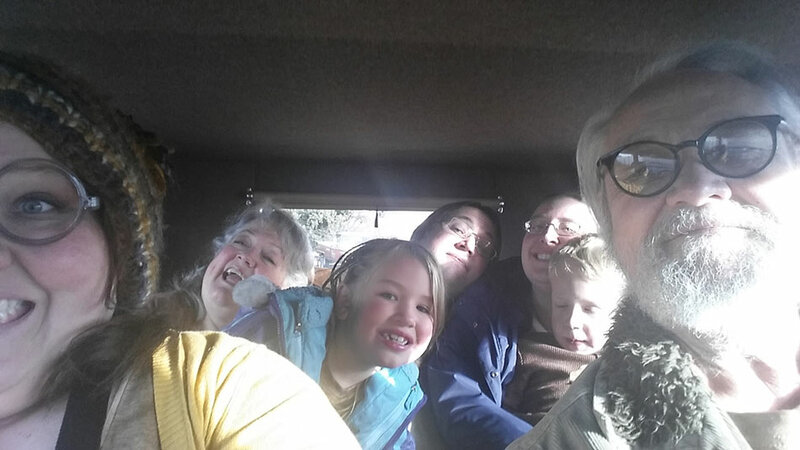 Richard, that's gotta be one of the best selfies around! Quite a gang you got there!